Joomla! is a popular web content management system (CMS) and millions of businesses use it to power their corporate websites and blogs. Joomla! is a popular choice for a number of reasons. It’s free, open source, easy to install and use, has a large community supporting the site by developing extensions and themes to allow the system to be used for a variety of purposes. This is why Joomla is used by lots of small and medium businesses but also large organisations, non-profits and individuals for their personal websites and blogs. As these businesses expand, rather than spending significant time and resources on redeveloping their websites, they often look to localising their existing Joomla! site in order to reach and engage with new audiences globally. Machine translation tools such as Google Translate or Bing Translator have come a long way in recent years, but it’s widely accepted that machines perform significantly worse than humans and particularly bad compared with professional linguists and multilingual copywriters when it comes to translation. Often texts derived from machine translation are laughably bad and for this reason, international brands avoid the use of machine translation for their web and marketing copy. There are lots of multi-language Joomla! extensions available that use machine translation to translate content but very few that help you integrate professional human translation to ensure the highest quality and allow for the efficient management of content during the translation process. So, to solve this problem, we’ve developed an integration with our state-of-the-art translation management platform – STREAM – and Joomla! so businesses can take advantage of high-quality human translations carried out by our expert linguists, without having to spend time and money switching CMS platforms. To install the extension, get in touch with us and we’ll provide you with an API key and login credentials for STREAM. Once set up you’ll gain access to the extension and be able to install it. To show you how easy it is we’ve documented the steps you’ll need to take and outlined them below. 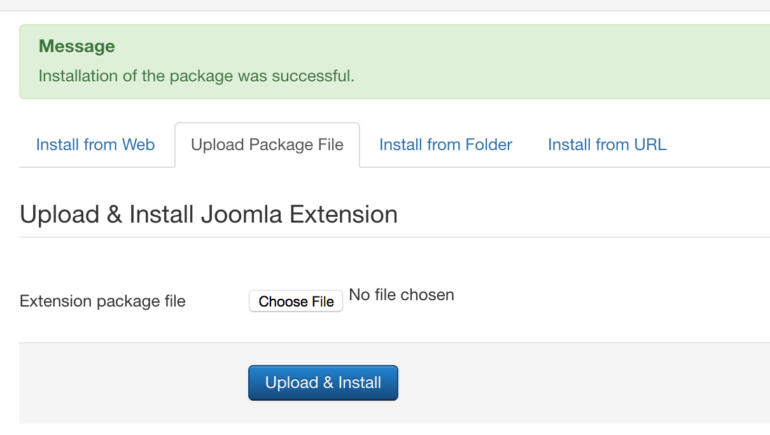 To install, the extension simply visit the “Extensions” menu in Joomla! and select “Install”. Next, upload the zip file containing the extension which will be provided to you by TranslateMedia. 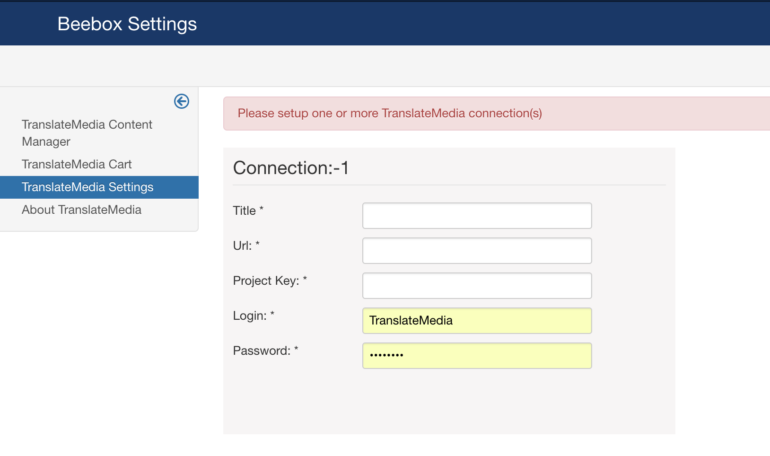 Now, visit the extension setup page located in “Components” and labelled “TranslateMedia-Joomla-Core-Connection” to enter the login details for STREAM, the project API key and relevant URL for your API endpoint which TranslateMedia will provide. That’s it! You’ve successfully installed the TranslateMedia Joomla! extension and have been connected to STREAM. Now you can start sending content for translation. Once set up, you’ll be able to access the “TranslateMedia Content Manager” on the left-hand side of the screen in “Components” in order to send content for translation. Here you can select content assets such as a page (or multiple pages) for translation into any of the languages that your site is configured for. Selected items can be added to your “Cart” so that your project can contain all of the elements that you’d like to translate. Once you’ve added the relevant content assets to your cart, you can visit the cart page and confirm the items you’d like translated and even specify a deadline for urgent translations. Once you’re happy with the content you’ve selected, simply press “Send to TranslateMedia” to send your content to us for translation. 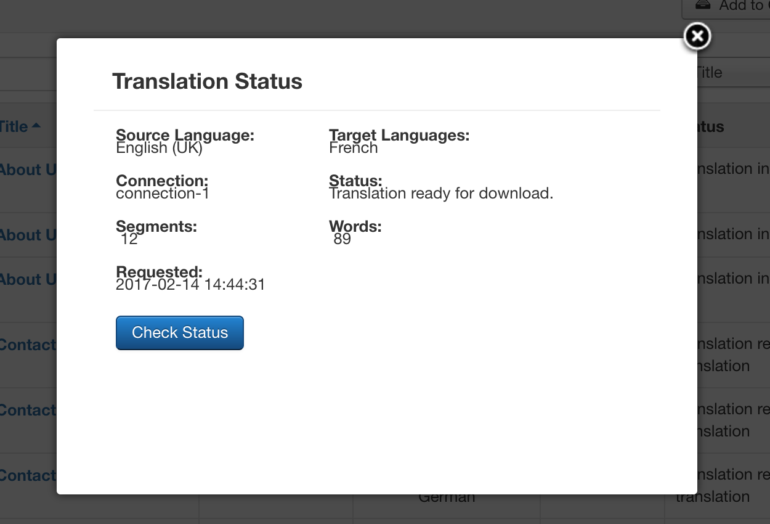 It’s possible to track every aspect of your translation project by logging into the TranslateMedia client portal. However, for a quick check on the status of your Joomla! translation jobs, you can visit the “TranslateMedia Content Manager” to view the progress of all jobs or even, send more content for translation. Once the translations are ready, the “Status” will change to “Translation ready for download” and the content will be available to import into your Joomla! instance. Once your content is ready you can visit the “TranslateMedia Content Manager” page to import it into Joomla!. Once imported, you’ll be notified that the content was successfully downloaded from TranslateMedia and provided with a link to “Approve & Publish” your content item. Once you’ve clicked on “Approve & Publish”, you’ll be presented with options to either approve and publish the item or return it to your cart to resend back to TranslateMedia for any additional changes. You’ll also be allowed to edit the content which will allow you review the document and even make some final changes before publishing it to your website. Need to know more about localising your Joomla! powered website? Get in touch with a member of our team.